I have a love-hate relationship with Le Métier de Beauté, that’s actually more of a love relationship with a very serious side-eye at the price point. I’m not going to sugarcoat~ it or anything—this brand is pretty dang expensive. And yet I am lured in, all the time. It’s been a few months since I bought makeup from LMdB (not counting the Beauty Vault VIP items), though. 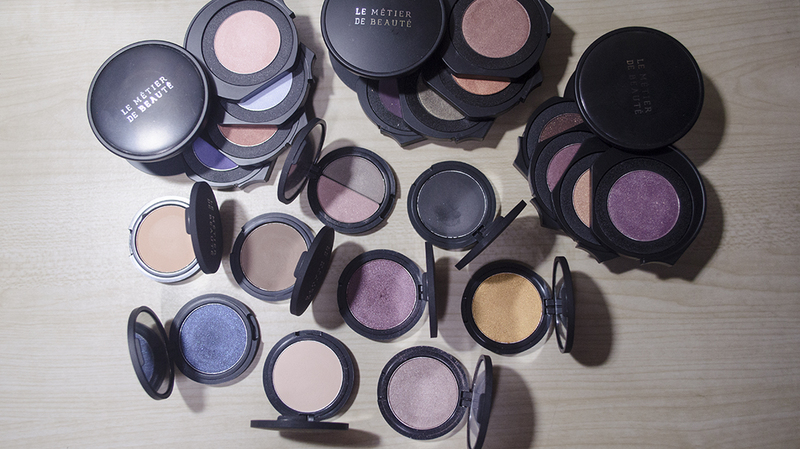 As I mentioned in my last Beauty Vault VIP post, I’d be happy to swatch my Le Métier de Beauté eyeshadows for um, you know, science. Sunny said she’d like to see them, so here they are. 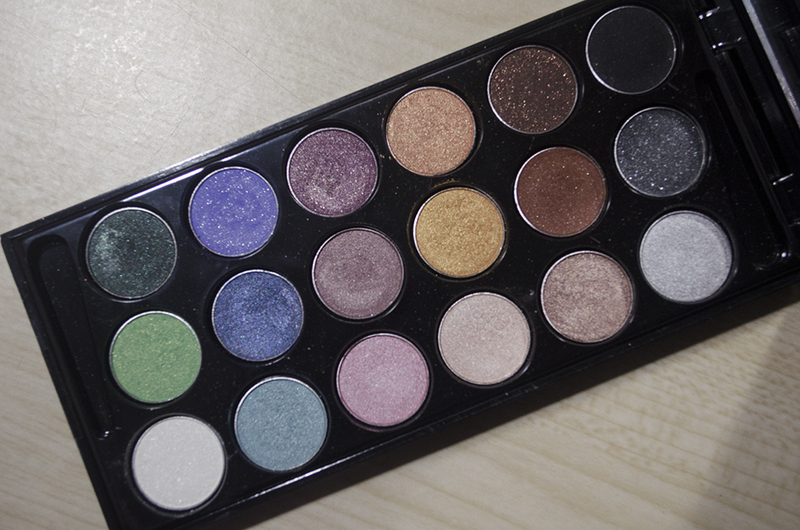 I’ll start with the LE palette that I did hound: The Mélange de Colour Fashion Eye Palette. To date, this is, I think, their biggest palette release with 18 shades in really tiny pans. The shadows are (mostly) so creamy, though. If you want my full review on this, click here. 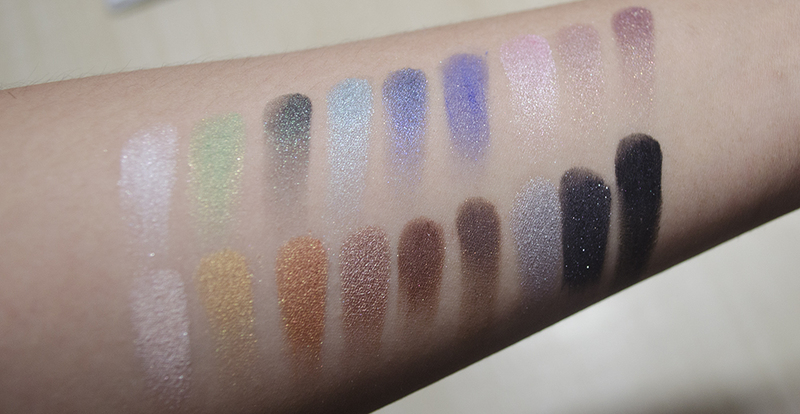 The Ultimate Makeup did a swatch comparison with some of her existing LMdB shades. I think this particular palette has no dupes of permanent shades, but some shades from other palettes are resurrected. Anyway, moving on! Here are my Kaleidoscopes and singles (and a duo from a GWP my gurlfran got for me). See? Not that much. I’ll start with the singles swatches! From L-R, I’ve got: Naked, Peachy Keen, Tamarack, Corinthian, Goldstone, Alexandrite, Midnight Sky, Noir, and the shades from the GWP/Brown as a Berry duo. Singles are $30 but have much more than twice as much product as MAC eyeshadows. Texturally, the smoothest, best shades are the shimmery ones, i.e. Corinthian (a most beautiful taupe! ), Alexandrite, Midnight Sky. I don’t think they do mattes exceptionally well. Noir, for example, is kind of a pitiful black. 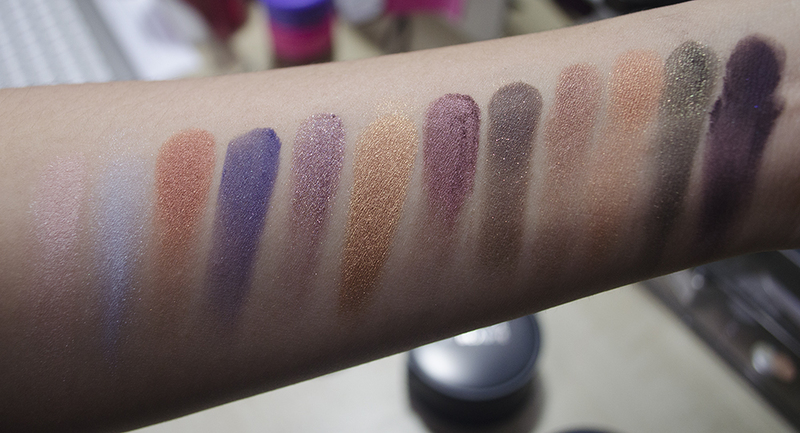 The other mattes (Naked, Peachy Keen, Tamarack) are OK, but nothing particularly note-worthy. I don’t have any other “iconic” LMdB shades, other than Corinthian. I am most intrigued by their bolder shades, like Fire Lily and Water Sapphire, since that’s what they seem to be super good at. 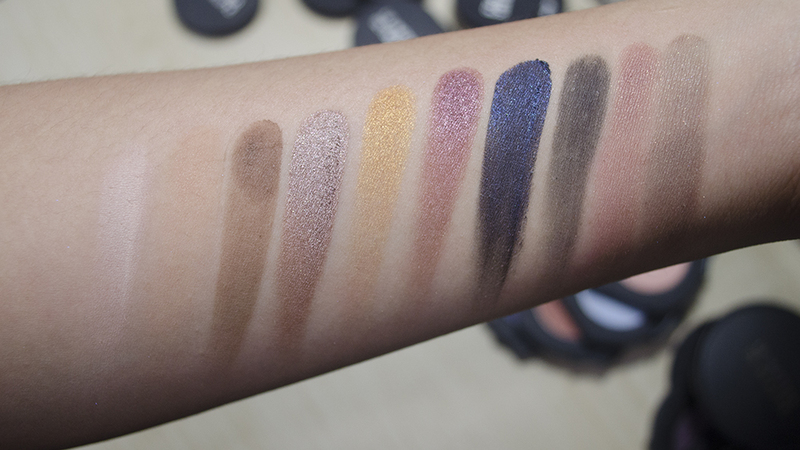 The thing with LMdB eyeshadows, is that they were made to be subtle, because of the Couches de Couleur (layering of color) technique that they often use and employ. Xiao of Messy Wands has a great comprehensive post on the technique here. LMdB is known for releasing quads called kaleidoscopes that you can use on their own or using the couches de couleur technique. Basically, it relies on layering four shades, each with a specific purpose: to Brighten, for Warmth, Focus, and Depth. A simple determinant also is this sequence of layering: Cool, Warm, Cold, Hot. Xiao’s post has a chart that determines how the single shades can be used and how they are grouped. And now, for the quad/kaleidoscope swatches. L-R, I’ve got: Northern Lights (my first Kaleidoscope! ), Silk Road, and Gravité. The formulation of the eye shadows makes it so that your eye looks, despite layering, won’t turn muddy, but instead produce a beautiful complex eye look that enhances the beauty of your eyes. I have passed on a lot of them since getting into the brand (Saint-Domingue is my one true regret), just because the pans are too big + they are $95. Still, I’ve been pretty happy with all of my LMdB purchases. I don’t think I’ve met a dud; just colors that didn’t suit me, etc. It’s hard to jump in on a brand that’s not so accessible, is pretty expensive and relatively polarizing (ONE TRU MAKEUP LUVV vs. OVERHYPED), but I truly love about 90% of everything I’ve bought from them and use at least one LMdB product on a daily basis. Do you have Le Métier de Beauté eyeshadows? Which ones are your favorite? Wow, some of those shadows look like gel liners! That Color Fashion palette is GORGEOUS!! Right? 😀 I thought you’d appreciate that palette! OH! Pressing the pigments on the brush makes sense! Thanks for sharing the vid. I love it! I remember most of your LMDB eyeshadow reviews, I fancy them. My problem is I don’t think I have the eye shadows for the warm cool hot cold (or something). I tried them wet, but I had a problem blending afterwards, hahaha, oh well, I think this is normal for a beginner. I just have to find what works best.